Posters are simply one of the best traditional marketing methods when it comes to advertising not only your business but nearly every other industry in existence. Posters are fast becoming a popular way to get your message to the people who matter most for a number of reasons. Since the turn of the digital age, the Facebook and Twitter platforms of this world have been a great online method to market through. However, when you take a walk down the street, in a park or any public place for that matter – posters communicate with your target market, clearly displaying your chosen message. If a poster is designed correctly, with the right messaging and design they will no doubt catch the eyes of people and make them aware of a product or service that they wouldn’t otherwise have known about. Essentially, the poster has the ability to stick in people’s minds – this can have huge advantages for small to medium businesses looking to create brand awareness. Creating a professional, bespoke poster is a much cheaper form of advertising than radio for example. The overall print process is much simpler, only involving a printing service such as us at Essex Banner Printing – a poster can go from the concept stages all the way through to finalisation in a matter of days, meaning you can begin your promotional work much faster. Do you want to target specific locations? Do you want to increase brand visibility in a certain area? Well, with a poster you can! You have the ability to bombard people with imagery and messaging that will live long in the memory by hundreds if not thousands of people depending on where you deploy your advertising poster. Your poster could be on a wall in the town centre, stuck on a bus stop or attached to a tree. Posters are diverse and once you have people’s attention you can use a good call to action and encourage them to respond. Whether it’s making a phone call, attending an event or going to a website, a poster can send a clear message that inspires people to get involved with your product and/or service. Unlike other forms of promotion, posters can be used to get the attention of exactly the kind of people you need to be appealing to. 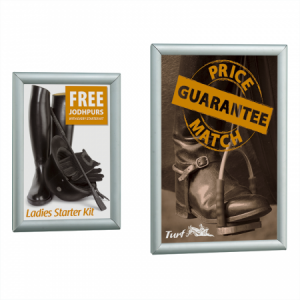 You can put them up in the ideal locations where your target audience is located, increasing the chance of a positive response – the versatility of posters makes them an ideal form of promotion. These are just some of the many benefits that come with poster promotion. Here at Essex Banner Printing we have the right resolutions for your new poster. With our wide format printing capabilities we can print widths over a metre wide. This enables to offer all standard posters: A0, A1, A2, Double Crown, Quad Crown, Double Royal or Double Quad. We can also give you the best advice to ensure the right material and inks are used for your poster. This is an important factor as different materials work better in different places. 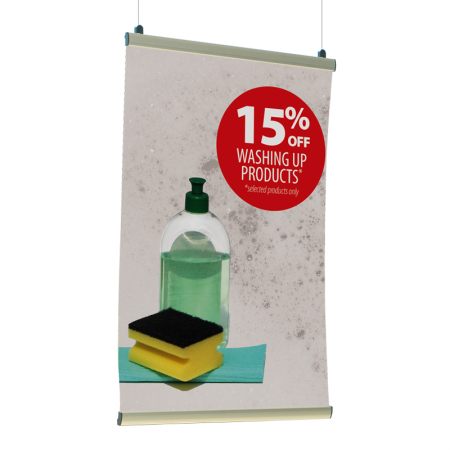 For example if you poster is going to be used outside and exposed to the elements you will want to ensure that strong flexible material and highly light-fast inks are used so that your poster lasts as long as it needs to. Also factors such as how you will put the poster need to be considered. If you are pasting your posters up bear in mind that many types of material will not react well with the adhesive. However, we can use specialist materials for the job such as blue-back billboard material. Our many years of experience with posters means that you will have your posters printed at the highest quality, on the best material for the job using the correct inks. If you would like to find out more information on how we can help you promote your business through print and more specifically posters, contact Essex Banner Printing today on 01245 790785 or email info@chelmerprint.co.uk – our affordable print is designed to last! We are based just outside Braintree in Essex and serve customers throughout the UK. If you are in Essex, Suffolk or Hertfordshire we usually deliver your posters personally but can send posters nationwide via next-day courier. We offer a fast turnaround service and if required can produce jobs on a same day basis. As well as printing your posters we can also supply A-boards, poster display units, backlit boxes and lockable outdoor poster boxes.